Well, we made it. 40 freaking weeks of gestation. I cannot believe how quickly this pregnancy nor the past year has gone by. It’s also been a year since I quit my job, moved to Broomfield and became a stay-at-home mom. Call it pregnancy hormones if you want but I am feeling all the feelings today. I’ve been feeling guilty for not keeping up with my blog as much as I’d like but we’ve honestly just been so caught up enjoying the last few weeks with Cody as an only child, plus running around like chickens with our heads cut off trying to get everything ready. The past month has been full of ups and downs, mostly exciting anticipation for Baby Boy Buell’s arrival. Baby Problems: You guys, I’m so freaking big. A woman came up to me a few weeks ago and said, “Ok you’re either carrying twins or past your due date.” #rude. This actually beats the best comment of my pregnancy with Cody. Before a client meeting, I had a man say to me, “Either you’ve had too many beers or you’re pregnant.” I was like 15 weeks and just barely showing. For the most part people have been respectful regarding their comments and hands on my belly but there are certainly some notable outliers. Something about seeing a pregnant lady gives some people extremely poor judgement and tact. How Fat is Baby? (Mommy’s Weight Gain): Well I’m back on the steady incline. I’m up to 36 pounds total. Is it irrational to anticipate a 20-pound baby??? What is Baby Eating? : One main reason for my dropoff in blogging is that my cooking creativity has taken a pretty significant hiatus. I’ve mainly stuck with quick, easy and uninspired meals due to so much fatigue. However, we’ve had a few fun treats. If you follow me on Instagram, you know that we celebrated Pi Day (3/14) earlier this week with an incredibly delicious s’mores pie from my Back in the Day Bakery cook book. 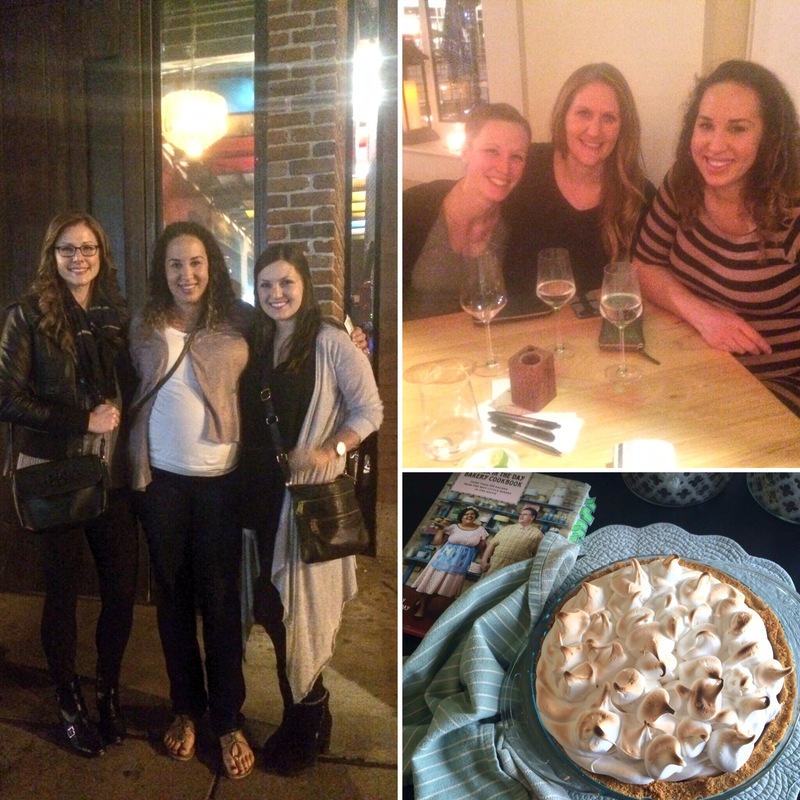 I’ve also been spoiled by outings with girlfriends and more two awesome date nights with my husband to some of my favorite places in Denver – Mercantile dining & provision, Ophelia’s Electric Soapbox and The Melting Pot (which, by the way, is an old converted coal mine). What is Baby Avoiding? : Not a thing! Baby’s Workout Regimen: This has been a particularly slow month for me given how enormous I am. However, I’ve kept up with a mountain of household projects that are keeping me active as well as some super exuberant music classes with Cody. More on that later! Baby’s Movement: This may sound strange but sometimes it feels like this kid is trying to bust out! I’m getting the usual leaning from side to side as well as the feeling like he’s using his hands to climb out. So, lots of pinpoint pressure very, very low in my pelvis. Not the most comforting if I do say so myself. Thankfully since he’s dropped this month, I’ve had a much easier time breathing and my ribs feel much better. Booby Milk Report: Cody has asked to nurse a handful of times and I’ve successfully redirected her. Who knows how this will go once baby brother is drinking straight from the tap but we’ve had a really chill month just the two of us. Baby’s Adventures: In gearing up for #2 my mommy guilt with Cody has been in overdrive and therefore, our social calendar has been filled to the brim. We’ve been to her favorite music class, Altitunes, at least once every week. It’s been awesome seeing how much she retains each week and hearing her singing the songs from class when we’re in the car or playing at home is just the cutest. If you’re in the Denver Metro area, I highly recommend these classes for your kiddos. Cody has been going since she was 4 months old, and Maureen and Amy do such a wonderful job with each every age group. I cannot say enough great things. 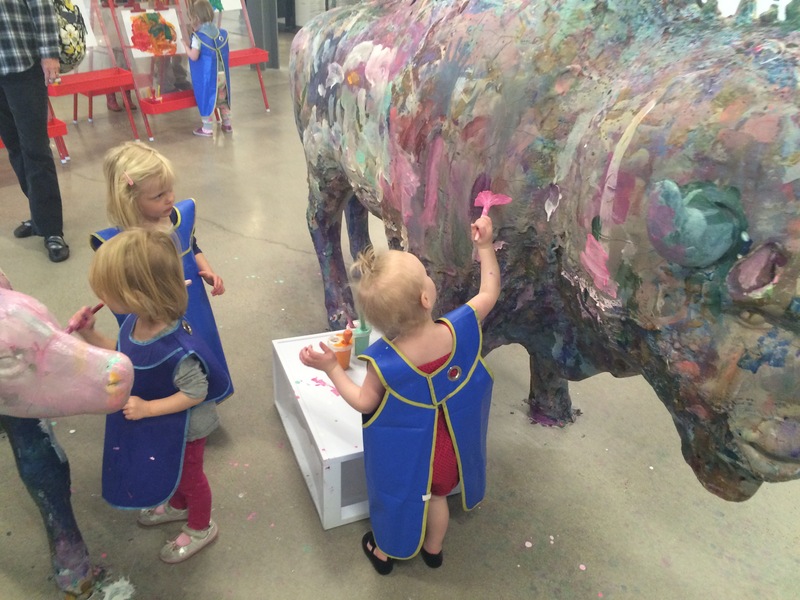 We’ve also made it to the Children’s Museum, which of course is a huge hit. 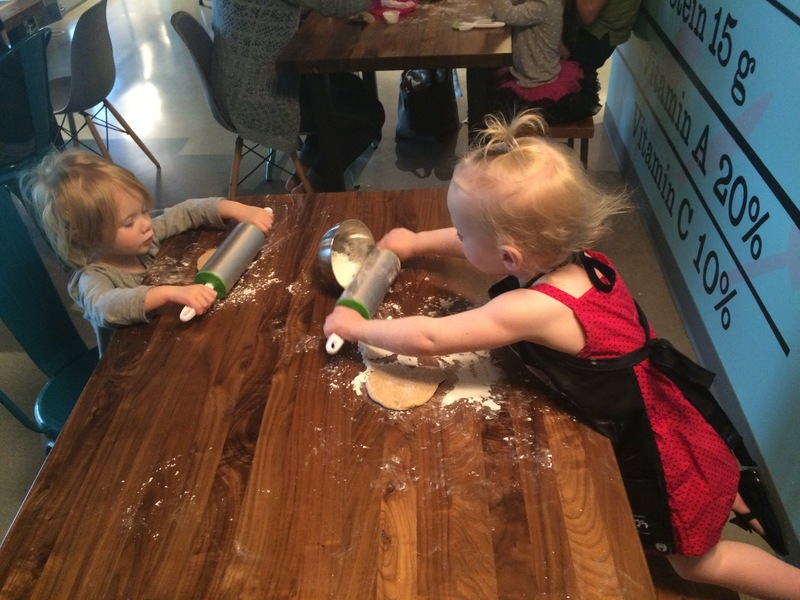 Did you know they have a 3 and under cooking class? It’s too much. Cody and her BFF Sienna are naturals in the kitchen! 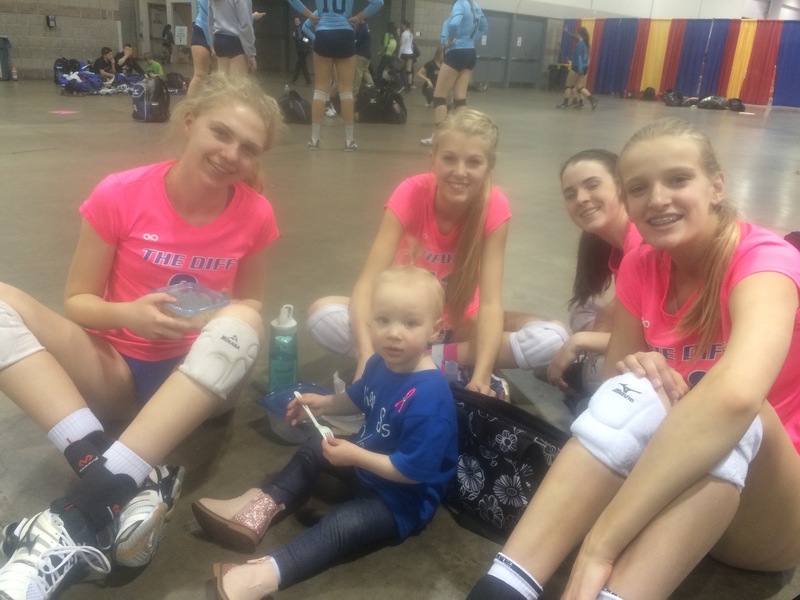 Another fun highlight this month was coaching our volleyball team at the Colorado Crossroads National Qualifier tournament. They had an awesome showing and we were quite appreciative of the little man for staying out for the duration of the tournament. Oh Yeah, That Pregnancy Thing: The last few weeks of pregnancy are just difficult, at least for me. Because the baby is so big, it makes everything just feel tight and uncomfortable. My bathroom trips have increased in frequency to at least every hour, if not more. That of course makes sleeping more challenging. Baby’s FOMO: I’m feeling incredibly nostalgic regarding this last year with Cody. Thinking about how much she’s grown and changed and then thinking about how I’m going to possibly love another human as much as I love her. It’s mind boggling. I guess I’m really just trying to soak up every moment with her as best I can, knowing that a big change is upon us, albeit a good one. Baby’s To Dos: My poor husband has been like an indentured servant this month. I’ve been so stressed trying to get so many projects done over the past month but I can finally say I feel like we’re totally, 100% ready for this baby to come at any moment. This kid has only one more to-do that I really care about: come on out!! !